KARACHI: The Federal Investigation Agency (FIA) has decided to register a case against Axact after finding ‘incriminating’ evidence of the firm running a fake degree empire in the country. FIA Sindh Director Shahid Hayat revealed that hundreds of thousands of degrees, student cards and other incriminating evidence had been found during a raid conducted at an Axact office on Tuesday. Talking to the media late on Tuesday, Hayat said FIA had decided to lodge an FIR against Axact after emergence of ‘new irrefutable evidence’ against the so-called IT company. “We found hundreds of thousands of degrees today. A magistrate was present during our raid. The location where we found these degrees also housed a printing press,” he revealed. Hayat went on to add that Salman would be produced before a court for remand on Wednesday. The case being prepared against Axact will include sections pertaining to money laundering, fraud and cyber crime. 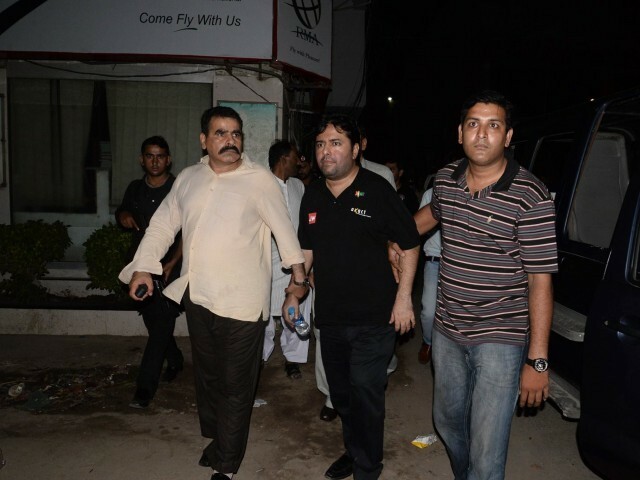 Further, an Express Newscorrespondent revealed that Axact office raided on Tuesday did not bear the company’s name. Following a New York Times report exposing Axact’s degree empire, Interior Minister Chaudhry Nisar ordered FIA to conduct an inquiry into the company’s dubious online college websites. Nisar also allowed the Federal Investigation Agency (FIA) to seek assistance of foreign experts to probe this scandal, he added.